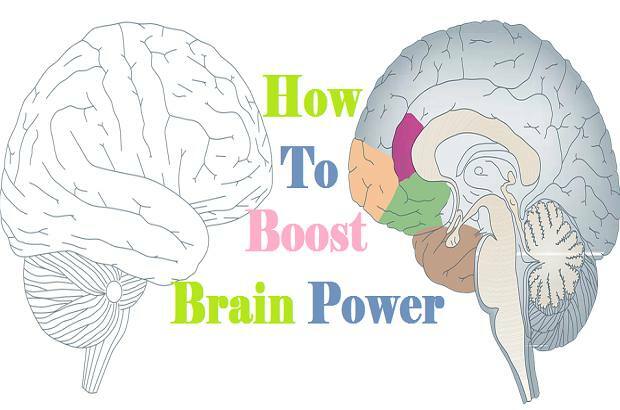 How to boost your brain power naturally at any age? Do you want to improve your memory power? We have compiled some basic techniques and best ways to help enhance your brain power, build your new neural connections, improve your cognitive function, boost your memory, and ignite your learning skills. You might have noticed that some people readily remember important information and they are able to quickly understand new things. Would you also want to do that? Human memory depends on the health of the brain. The brain sends signals into specific patterns associated with an event (which we are experiencing) and creates a connection between our neurons, which are called synapses. There are lots of ways to increase your memory and strengthen these synapses. Your brain is like the muscles of your thinking - it should be a good daily workout, good food, and challenging tasks to keep it sharp, clear and right. It is known that our modern lifestyle plays an important role in contributing to cognitive decline, there are many things that hinder Brain work such as exposure to toxins, malnutrition, lack of sleep, stress and many other things. On the other hand, a healthy lifestyle helps to promote brain health and encourages your brain to manufacture new neurons. A good lifestyle helps you strengthen your memory and improve your memorization power. Here are some tips that will help you to strengthen your memory. Visual Concept: The best way to remember things is to visualize what you are reading or listening to in your own brain. Pay attention to photographs, charts and other graphics that appear in your book. If you are not studying a book, then try to create a mental image of what you are trying to remember. The more obvious this mental image, the more you will remember. Write it down: Writing produces an oxygenated blood flow in those areas of your brain which increases your memory. If you are a student, you can create notes or write a blog while studying - all these activities increase your ability to remember. Pay attention to your surroundings: It is related to being alert. Practice making the surrounding things and a mental photograph of your surroundings. Focus on all things - nature, people, weather, etc. Teach someone else: Reading aloud, being useful for improving memory has been considered. The fact behind this idea is that psychologists and teachers have found that when we teach something or any other concept, we can remember that thing very easily. Repeat things: If you want to install memory in your brain, repeat it again and again. If you meet a new person, repeat their name when they get their hands, and when you are finishing the conversation, repeat their name. If you find it strange, you can say in your mind. Avoid multitasking: Studies have shown that our brain can not efficiently switch between tasks, which means that when you do multitask together, you are not actually doing anything. Research has also shown that while learning to multitask, we learn less and waste our time more. Develop creativity and learn new things: Learn new languages, play musical instruments, do a painting, enhance your vocabulary - learning new things and keeping the creative work actively. Create connections: You can improve your memory and increase your brain power by making a connection to what you see in your routine. As an example - remembering a particular sign, like a large shop or showroom or hospital of the road you pass, makes it easy to remember the path. To remember a telephone number, you can remember it by connecting you, your birth date, or the year of marriage to the knot. Improve Memory by eliminating stress: By meditating at least 15 to 30 minutes per day, changes in your brain and stress are removed. The morning time is the best time to meditate. Meditation mixes itself with you, which brings about wonderful changes in your life. Yoga: Yoga also changes your brain. Some studies suggest that in addition to reducing depression, stress, tension, and anxiety, yoga protects the brain from shrinking with age. Interestingly, yoga mainly prevents the left hemisphere of the brain from shrinking, which is associated with positive emotions like excitement and happiness. Test yourself daily: In the day, take a little test of yourself - for example, when you leave a store, ask yourself what you saw in the shop, the location of different classes about the shopkeeper; His / her hair, eyes, and shirt color, etc. Test yourself, this will improve your memory power. Exercise regularly: Exercise is not just exercise of body, it also helps to exercise your brain too. Diseases like obesity and overweight can eventually lead to serious damage to the brain. Also, by not exercising regularly, the plaque starts to form in the arteries and your blood vessels begin to lose the ability to effectively pump blood. By reducing the plaque, the amount of oxygen and nutrients that reach your brain decreases. Exercise also helps with any interesting activity such as swimming or joining a sports club. Get organized: Select the specific location for everything and then keeping them continuously will help to reduce stress in life. By organizing everyday tasks in an organized way, your mind becomes independent, which helps in focusing on important things. Socialize: Spend time with people with whom you feel good to spend time with. Socialization reduces anxiety and increases self-confidence due to which stress is removed. Cutting down on the use of technology (i.e. the time of sitting in front of your computer, phone or tablet) also improves the health of your brain and you can think more deeply. Laugh out loud: Research suggests that laughter improves man's short term memory. Laughing increases the discharge of a particular type of hormone (endorphin), which increases your logic capacity and reduces stress. Listen to music: Research shows that some types of music have been very helpful in improving memory. Information that is learned when listening to a particular song or collection, can be remembered by thinking about the same song or by singing in the mind. Songs and music can play a vital role in bringing back special memories. Get enough sleep: Every person should take adequate sleep for 7-8 hours. During sleep, the brain stabilizes the information and memories received recently. By getting enough sleep, you cross the entire spectrum of the night cycle, which is necessary for the optimal brain during waking. A small nap taken during fatigue during the day can also recharge your brain. Promoting brain power and maintaining fast memory are important goals for living a satisfying life. Keeping this in mind, you can put that candy bar down and supersize the source and you can reconsider your options. What you eat (and do not eat) can affect your waist, the risk of your disease and the power of your brain. Can our diet really make us smart and intelligent? Absolutely, but junk food is not on the list. What you eat is the most powerful in your daily brain skills. The perfect healthy herbs and foods for brain health can help to overcome memory loss, Alzheimer's disease and other forms of dementia. This is because good nutrients can keep your brain cells healthy and prevent brain-harmful inflammation. To improve memory and overall brain function, foods are more important than the amount you can feel. Your attention span, your ability to learn and your memory will benefit from the healthy foods and herbs you choose. Consume Antioxidants: Studies have shown that antioxidants, especially blueberries, protect the brain and can reduce the effects of age-related diseases such as Alzheimer's disease and insanity. Pomegranate (sugar-free pomegranate juice) is also a good source of antioxidant. Tea also contains antioxidants. Small amounts of caffeine can help to increase memory by tea. Dark chocolate contains many natural stimulants, including antioxidant and caffeine, which is useful for promoting concentration and memory. Eat healthy fats, nuts, and wholegrain: Nuts and seeds are good sources of vitamin E, which can help to reduce the cognitive decline associated with age. The whole grain in the food promotes heart health, which flows the entire body including the brain. Other foods that should be added to your diet include fruit, green vegetables, and lean protein. Drink enough water: The brain is made up of about 80% of the water. If your body lacks water or you are not drinking enough water for a long time then the brain can not work properly. Mental exercises and new activities will continue to run your brain. In fact, a New study found that adults who engage in regular mentally stimulating activities tend to develop 63 percent less dementia than those who do not do that. Test your creativity (and your memorial) by writing a short story. It's not as easy as it sounds, but it's a lot of fun. You can get appropriate stories for Twitter and other social media.